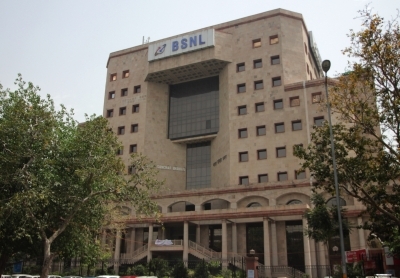 State-owned Bharat Sanchar Nigam Limited (BSNL) on Wednesday entered into an agreement with US-based networking solutions provider Coriant to chart the path to 5G and Internet of Things (IoT) in India, a company statement said here. The Memorandum of Understanding was signed between BSNL and Coriant for laying foundation for innovation in network architectures and services leveraging 5G, IoT, Software Defined Networking/ Network Functions Virtualisation (SDN/NFV), and mobile edge computing technologies. “We continue to focus on bringing our customers across India the latest innovations in communications technologies that enrich their personal and work lives,” said BSNL CMD Anupam Shrivastava. “5G represents an enormous leap forward in capacity and throughput speeds, and we are pleased to team with our long-term technology partner Coriant to tap into these capabilities and explore real-world use cases for next-generation services and applications,” he added. “We look forward to our joint work and the opportunity to help BSNL fast track development toward a 5G and IoT future and bring the value of these technologies to India and its citizens,” said Shaygan Kheradpir, CEO and Chairman, Coriant.